When it comes to virtual world real estate and design, DeepThink has been a big player, operating one of the largest continents in Second Life. But in recent months, the Shanghai-based company has been refocusing on OpenSim, the open-source platform that’s rapidly becoming the standard for enterprise virtual worlds. OpenSim is not an alternative to to Second Life — rather, it is a platform on which people can build their own Second Life-style communities, gaming worlds, or independent educational grids or company platforms. DeepThink currently has five on-going OpenSim-related projects, said Adam Frisby, DeepThink co-director and the company’s head of research and technology. Although the bulk of operations are in Shanghai, DeepThink Pty Ltd. is incorporated in Perth, Australia with additional staff distributed around the world, in Canada, U.S. and the UK. Frisby’s co-director, Alex Strong, is based in Canada. The company provides hosting, virtual land rentals, software development, and virtual world design and building services. 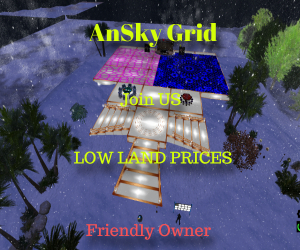 One obstacle is that OpenSim is still in its early stages of development..
Frisby is one of the core developers of the open source OpenSim virtual worlds platform, and has been working on that project for the last two years – since its very inception. DeepThink gets OpenSim implementations running for clients, and also customizes the OpenSim code to fit customer needs, he said. One project that DeepThink is working on involves virtual architecture. Another, an OpenSim-based currency system. And virtual meetings are a hot topic, he added. “We’re doing some event work, conferences that will be hosted on the OpenSim platform for quite a number of users,” he said. Training and education, for example, already has a proven track record in the virtual worlds, he said. These types of events have minimal requirements and can easy be handled with today’s technology. There are still some limitations that have to be addressed, however, he said, such as the time it takes for end users to get settled in when they come to a virtual conference or training session. “They want to spend half an hour customizing their avatar before getting moving,” he said. The key to a successful training experience, he said, is that the virtual world needs to add something to the experience that can be gained through a telephone conference call, or an online produce like Webex. For example, Wespac, one of the Australia’s largest banks, ran a training program in Second Life in 2007 and 2008, then pulled the pug in early 2009, along with some Web 2.0 projects. The reason? Lack of return on investment. “The benefits weren’t much better than Webex,” Frisby said. Where the benefits can be found, he said, is when the training requires a dynamic environment. For example, virtual worlds allow users to prototype how something looks in three dimensions, or to go through a virtual representation of a physical location. One application, for example, involves users walking through an environment and trying to spot the safety problems. There’s not much advantage in training users in how to use desktop applications, for example. Virtual world events also give participants an opportunity to network with presenters and other guests in a way similar to what they would do in an actual conference. By comparison, networking in a telephone conference or a Web session is extremely difficult, especially between strangers. As a result, the virtual conference business is picking up this year. Bigger conferences will stay in the real world, however, until scalability problems are solved. Today, he said, it’s hard to get 50 users into a single location. For larger gatherings, regions can be broken up into smaller areas, so that multiple servers can handle the load. And the virtual environment can be optimized to load faster, he added. Another area under development is that of voice. Today, conference speakers can be streamed in, but if everyone in a conference wants to have a chance to speak out loud – rather than typing messages into a chat window – then OpenSim requires a third-party voice module. Companies looking to enable voice conversations on their grids can use a custom voice solution, he said. Meanwhile, OpenSim has been experimenting with open source voice products, with limited success. “I think this will be one of those things that will be solved this year,” he said. The payment situation is another one in which companies will need to deploy their own payment method if they want to collect money within their virtual world. 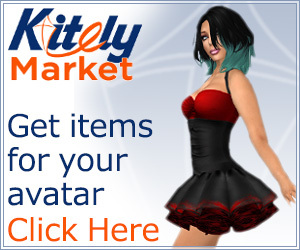 Most of the commercial virtual worlds, like Second Life, have currency platforms build in. Second Life, for example, has a virtual currency that is freely tradable with the US dollar. However, unlike Second Life, OpenSim is not a stand-alone world. Instead, it is a platform for building virtual worlds. And, much like website owners want to have a choice of payment platforms – credit cards, PayPal, Google Checkout, or any of a number of others – so, too, virtual world operators may prefer to use a payment system popular in a particular country, or within a particular industry. “So the core [OpenSim software] shipment will probably never contain e-commerce functions,” said Frisby. Instead, third party vendors such as PayPal might step in to provide payments, or entirely new companies may arise. “I would much prefer to have an established company,” Frisby said, adding that it’s more likely that a new startup will take on this market. Meanwhile, grid operators that don’t want to go to the trouble of enabling a third-party payment solution can simply send their users to a Webpage to make the payment, Frisby said. For example, conference attendees may be required to register for a conference on a web form and make the payment before they receive their login instructions for the conference. Even shopping cart systems can be built inside OpenSim today, with existing tools, Frisby said. For shopping however, more is needed besides the payment system – users have to be able to access the world more easily than today.